A car accident left me with a traumatic brain injury, and normal yoga classes made me dizzy and frustrated. But a special TBI-friendly course I took at Atlanta’s Evolation studio, developed by Denver-based nonprofit Love Your Brain, became a strong support group. Love Your Brain, a nonprofit that developed yoga courses specifically for those with traumatic brain injuries, was founded in 2014. Several years ago my mother enrolled us both in a yoga class at a studio in East Point. She explained to the instructor that I’d suffered a traumatic brain injury in a car accident a few months prior and was still extremely sore and experiencing intense muscle spasms. My mom is a manager for a health organization, and one of the doctors at the company suggested practicing yoga as a way to help alleviate some of the tension in my body and relax my mind. The instructor did her best to accommodate me, I’m sure, but twisting myself into the different yoga poses made me dizzy and nauseous, not to mention it exacerbated my migraines. Frustrated, I just wanted to lay flat on my yoga mat in shavasana for the entire class. And after a few failed classes, I resumed my evening routine of napping and staring blankly at the wall, depressed, irritable, and mentally exhausted by even the smallest tasks. I still have no memories of the accident that caused my brain injury, but I know that on a Sunday morning in July 2012, less than a mile away from my home in southwest Atlanta, I stopped at a red light and turned on the radio. While waiting for the light to change, I was hit from behind by a box truck. When I regained consciousness I was still in my car, although it didn’t look much like a car anymore. I wouldn’t be able to fully grasp that the truck had driven over most of my Honda coupe until I was shown the photographs later on. The roof of the car and the door on the driver’s side had been peeled back. The front windshield wasn’t completely shattered but it was concave. The backseat and trunk were crumpled to the ground. I was diagnosed with a mild traumatic brain injury (the word “mild” designates a loss of consciousness lasting less than 30 minutes) and almost immediately developed anxiety, depression, migraines, and memory issues that I still deal with today. The accident also left me with post-traumatic stress disorder. For months after, I’d suffer flashbacks of the scene. Riding with my mother to Target, I’d be transported back to the totaled car, the feeling of glass and debris between my teeth feeling as real as it did that day. While a high percentage of patients who suffer concussions or mild traumatic brain injuries will recover within days, weeks, or months, others can suffer from long-term or even permanent symptoms. In the months following my accident, my mom and I assumed I was in the majority. We thought my symptoms would fade relatively quickly. I didn’t anticipate that I would need a neuropsychological exam, months of cognitive rehabilitation to improve my memory and speed of processing information, disability accommodations during my remaining year at Georgia State, and years of trying different medications for the depression, anxiety, and excruciating migraines. Although the effects of brain injuries often aren’t visible, the cognitive and mental health effects can be debilitating. Eventually, I decided to give yoga another try. I stumbled upon a specialized yoga program called Love Your Brain on Facebook and joined the waitlist. It felt like a way to get the benefits of a support group—meeting and sharing stories with other people who had suffered traumatic brain injuries—while also nourishing my body. Love Your Brain is a nonprofit program was cofounded in 2014 by Olympic hopeful and professional snowboarder Kevin Pearce, who sustained a traumatic brain injury while training on the halfpipe in 2009. After the accident, he dated a yoga teacher who convinced him to attend classes to help with his recovery. He was inspired to create a program that could train instructors in how to adapt the practice for people suffering from brain injuries. “We recognize that medical costs are often really debilitating for people with TBI and there are a lot of one-stop short term programs that are great, but what comes next?” Kyla Pearce, senior director of Love Your Brain (and Kevin’s sister-in-law), says. 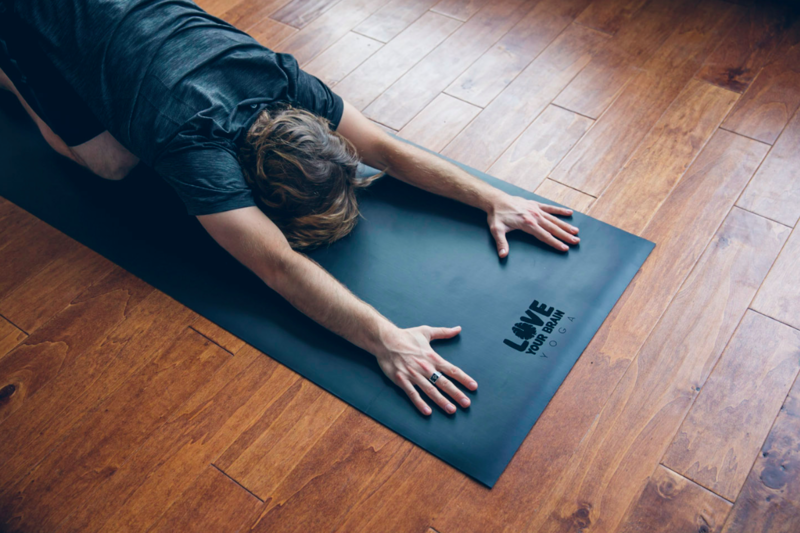 Sponsored by Lululemon, Love Your Brain’s six-week “FUNdamentals” series began in Norwich, Vermont, but is now available in 16 states and 3 Canadian provinces and is free to anyone with a traumatic brain injury or their caregivers. Atlanta’s Evolation is currently the only studio in Georgia that offers the program, thanks to Lauren Tudor, a recreational-therapist-turned-yoga-instructor at the Shepherd Center in Midtown. Tudor had worked with brain injury patients at Shepherd for six years, but it was her own personal experience with yoga and the way it improved her mood and memory that prompted her to bring the practice to her clients. 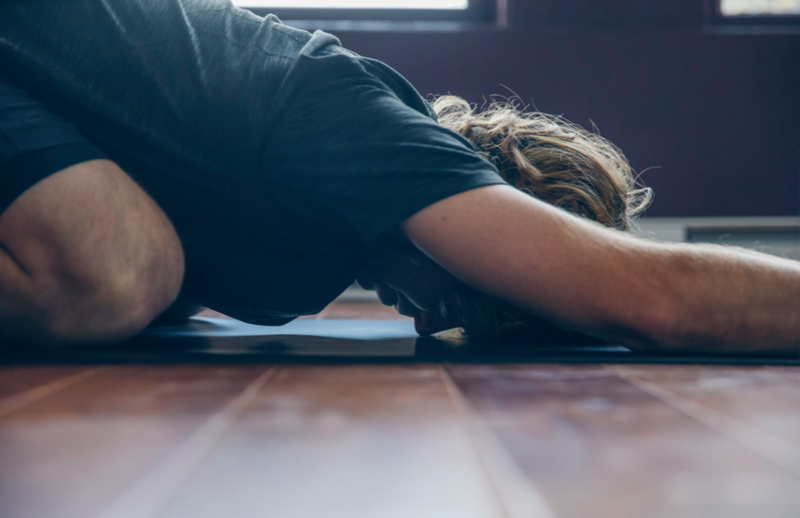 After attending a Love Your Brain training session in Denver, she approached yoga instructor Veronica Lewinger, who was managing Evolation at the time, and Bryce Giemza, the studio’s owner. Lewinger and Tudor then underwent an 18-hour training course. Due to demand and class sizes, I was waitlisted for about three months before I was able to attend Love Your Brain. Each of the Tuesday morning classes I attended, lead by Lewinger, featured a theme such as “mindfulness” or “resilience.” Lewinger was quick to explain to our class of 12 (many of whom were Shepherd Center patients) that this was an accommodating space—a place where we could ask the leader to dim the lights if we had a migraine. The postures were modified to avoid, for example, head-down positions that could’ve made us dizzy or uncomfortable. I enjoyed the classes, but the sense of community helped me the most. After each session, participants engaged in a brief discussion, with topics ranging from our favorite superheroes to how we experienced migraines. The latter hit home for me: One woman explained how she hadn’t owned a television for years because the monitor triggered migraines. She described feeling depressed when she’d go a few days without the severe headaches, hopeful that they wouldn’t return, only to be debilitated by another attack. I sat listening, trying not to cry too loudly. The exhausting cycle of migraines was one I’d often described to my friends and family, but hearing about a similar experience was validating. In this space, I didn’t feel obligated to put on a performance or minimize my experiences. I didn’t have to be okay. Providing support for caregivers is also an important part of classes. One yoga teacher might assist a loved one throughout the entire class so that their caregiver, normally completely focused on that person, can instead focus on practicing yoga themselves. It is a simple but kind gesture to caregivers, and it’s certainly one my mother could’ve used when I was taking my frustrations out on her directly after my accident. These classes are open to anyone, not just those recovering from traumatic brain injuries, but feature a more relaxed pace than other classes. It’s taken me more than five years to find a yoga class that fits me. But now I’m finally learning to prioritize my own health and wellbeing, one modified yoga pose at a time.